The market for Japanese comics, called manga, in the United States grew rapidly at the beginning of the twenty first century at a rate unprecedented in the publishing industry. Sales grew a remarkable 350% from $60 million in 2002 to $210 million in 2007 and did not begin to decline until the beginning of the recent economic downturn beginning in late 2008. No published research is yet able to account for this phenomenon in a manner that is both socially-situated and medium-specific. In this paper, I provide such a sociological account of the rise of manga in the United States and its implications for the globalization of culture. 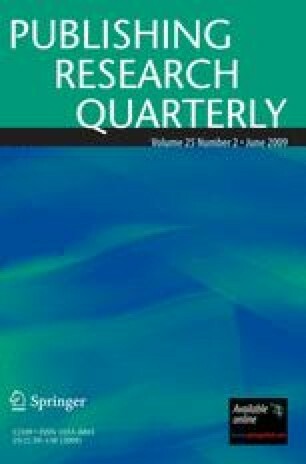 Adapting Pierre Bourdieu’s theoretical formulation of the cultural field, I argue that manga migrated from the comics field to the book field and that the ways in which industry practices, distribution networks, and target demographics differ between the two fields are directly responsible for the medium’s newfound visibility. Furthermore, I argue that, despite the now-common transparency of the Japanese origin of Japanese titles, the American publishing industry’s creation of manga as a category of books distinct from other comics is an ineluctable naturalizing process that ultimately erases from American consciousness the Japanese, the foreign, the other. If this article is the fruit of my research, then I owe the following people a profound debt of gratitude: John B. Thompson, for leading me to the field; Ruoyun Bai, for the intellectual space to grow; and Aram Sinnreich, for seeing me all the way to the final harvest. Alverson B. NYAF: ICv2’s Marketing to Girls panel. Mangablog. 2007. http://www.mangablog.net/?p=1298#more-1298. Accessed 23 Dec 2007. Bauerlein M, Sandra S. Why Johnny won’t read. Washington post. 2005. http://www.washingtonpost.com/wp-dyn/articles/A33956-2005Jan24.html. Accessed 25 Jan 2005. Chavez Ed. Save our EDEN. Mangacast. 2007. http://community.livejournal.com/mangacast/545171.html. Accessed 2 July 2007. Hassler K. Interview: Kurt Hassler. By Deb Aoki. About.com: Manga. 2007. http://manga.about.com/od/mangaartistswriters/a/KurtHassler.htm. ICv2.com. BookScan’s top 20 graphic novels for April. 2008. http://www.icv2.com/articles/news/12484.html. Accessed 30 Apr 2008. McLean T. Profile of Tokyopop founder Stu Levy: Manga man explores right-to-left brand cortex. Variety. 2007. http://www.variety.com/article/VR1117974761.html?categoryid=2818&cs=1. Accessed 25 Oct 2007. Palmieri M. Interview with Gutsoon!. By Isaac Alexander. Anime News Netw. 2003. http://www.animenewsnetwork.com/feature/2003-02-04. Accessed 4 Feb 2003. Thorn M. n.d. Shôjo Manga Magazines. Matt-thorn.com. http://www.matt-thorn.com/shoujo_manga/magazines/index.html. Accessed 12 Nov 2007. Weiner E. Why women read more than men. NPR org. 2007. http://www.npr.org/templates/story/story.php?storyId=14175229. Accessed 5 Sept 2007.